For guests, Monterey offers an endless array of activities and events to enjoy. From impressive ocean views to guided wine tastings, Monterey is never in short supply of things to do. One upcoming event that is looked forward to by many locals as well is the annual Big Sur Food and Wine Festival. This annual event is back and better than ever and will take place from November 2nd through the 5th. Read on to learn more about the Big Sur Food and Wine Festival. This year, during the festival guests will be given the rare opportunity to be a part of a gathering of both local and visiting restaurants, resorts and wineries from all over! These various organizations are teaming up so you can enjoy unique tastings and dinners at various locations throughout Big Sur. On Thursday, enjoy delicious tastings as well as special events. Kick off the tour by attending the “Magical Mystery Tour”. During this event, you’ll enjoy a leisurely hike as you visit hidden gardens throughout Big Sur. Along the way, you’ll be led by a winemaker and chef! There will also be the Opening Night Reception taking place Thursday evening. On Friday, enjoy the “Pinot Walkabout” and enjoy tastes from 20 wineries and 5 chefs. Tasting events will continue throughout the weekend. 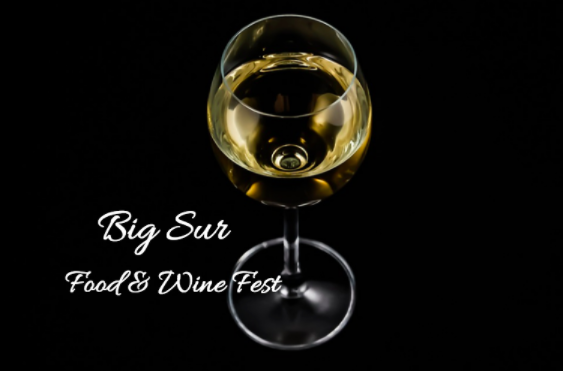 Does the Big Sur Food and Wine Festival sound like something you want to be a part of? If so, be sure to visit the official website where you can learn all about the various events that will be held throughout the event. Tickets can now be purchased online! Proceeds from the event will go to programs in the area benefiting art, safety, health and education programs. Simply stop by the website and see which events you would like to attend. Get your tickets today before they all sell out.